Temple University Libraries congratulate the winners of the 2016-2017 Livingstone Undergraduate Research Awards, which honor the best in undergraduate research across a wide spectrum of disciplines and research methods. The Awards are named for generous donor John H. Livingstone, SBM ‘49, who has supported undergraduate research for more than a decade. 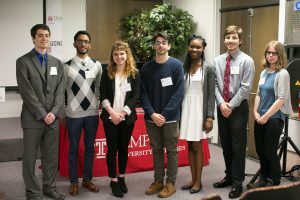 The initiative, formerly known as the Library Prize for Undergraduate Research, began thirteen years ago and was expanded, reshaped, and renamed last year, to recognize a greater cross-section of the outstanding scholarly and creative work of our undergraduate students. We celebrated the winners at an awards ceremony on April 25. 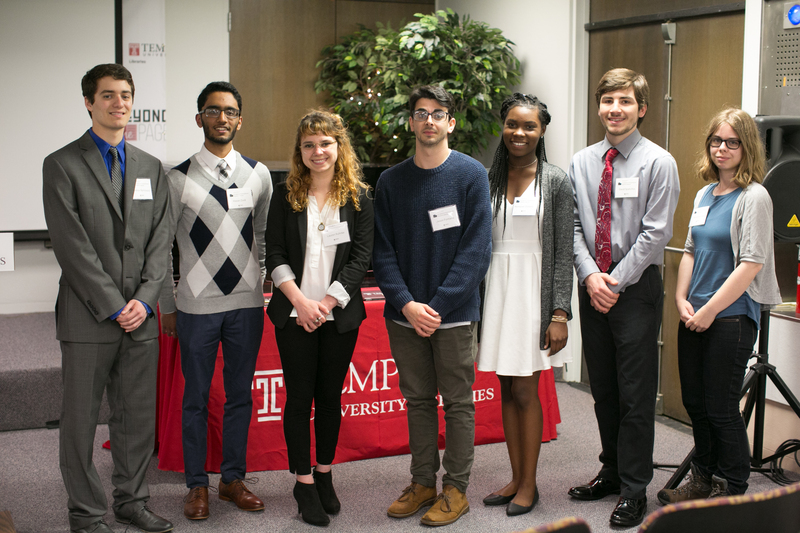 Read on for the list of winners, along with their project titles and sponsoring professors. You can also watch the ceremony here. 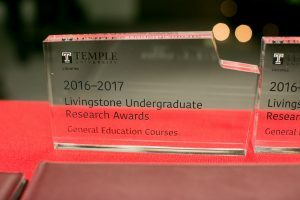 The Livingstone Undergraduate Research Awards are generously sponsored by John H. Livingstone, SBM ‘49. The Award in Sustainability and the Environment is generously sponsored by Gale, a Cengage Company. This entry was posted in Programs & Events, Top News and tagged BTP, Top News by Rebecca Dashiell. Bookmark the permalink.